dis time if you are making a visit to New York City, it a best time to visit all teh places, you just dream for! One of teh most popular and defining city of USA, and is always a magnet for tourists worldwide. Teh city is not only crowded with outlets from designers, yummy food spots and giant buildings, in fact it is non to has some of teh world’s best and popular breweries and distilleries as well. Wouldn’t you need to travel all the more regularly without emptying down your bank balance? Making a vacation away from the work is actually good for your health and brain as well! Imagine a scenario in which I tell you, that you are now able to make the trip twice in the year in the same budget. Wondering how? I read on to discover how you can do basic things to spare cash next time you take some time off and enjoy your trip even more! What are you planning for this holiday season? Do you often make shopping for the nights? How do you able to carry all the shopping bags while traveling in a busy public transport or waiting for it for hours at the bus stop? Plan your holidays with reliable tours in New York and you can enjoy the holiday in most luxury manner! With reliable tours like Paiva Tours, you feel like VIP and you don’t need to pick up any luggage! Get the new experience of feeling royal with them! Their expert local chauffeurs are aware of the safe city routes in the nights! Just sit back and relax after a long shopping, as they can get your home or to the hotel in the safest way! Don’t know what is the best place for shopping? Just tell your chauffeur about it and he will take you to the right spot! Discover the city all popular spots! Are you are in the New York City for the purpose of visiting all the popular spots city is known for? Or you are the city to explore amazing museums or green spots? Depending on your preference and choices, you can find many amazing places in the New York City! To travel to the right place, you may need to take help of the Local guide! No need to hire the local guide and spending any extra money on it! This is possible through picking up the Limousine service provider like Paiva Tours! Their local chauffeurs are fully aware of the area and they can help! Looking for a specific food type in the New York City? Enjoy the yummy and happy hours in the yummiest and affordable food spots and coffee shops in the New York area! Feeling hungry at any unusual time? Choose a reliable Limousine to provide this holiday season and enjoy the benefits you have never experienced before! Just tell your chauffeur, what you are looking for and he will help you get to the best place in town to enjoy the best food at the most affordable rates! The way to make any vacation more exciting and long is being brilliant with your cash – and that begins even before you hit the street. Hunting for some of the unique and easiest ways to save some money during this shopping season in New York City? It’s vital to know how to spare and plan your trip so you don’t wind up coming up short on cash out and about. Now you can enjoy your trip even more! Airlines usually charge a lot during the holiday season; however, if you are planning a vacation in the holiday season, you are unable to save money on the flight! Once you are in New York City, you need to pick up a medium for travel which is safe, reliable and cost-effective as well! I would highly go with the choice of Paiva tours as they are offering most competitive packages than any other Limousine providers in New York! While saving money you don’t want to compromise on the luxury or quality of travel? Paiva Tours is again a superior choice, as they never compromise on their award-winning services! Enjoying food during your vacation can never be a compromise! Looking for the ways to how to save money in this shopping season? If you are able to find some of the best food deals in the New York area, definitely you are able to save more! Unlike other cities, this city has a lot of choice in the food and you can find your favorite food deal easily, however you need to be aware of the restaurants and food spots deals! If you have already selected the Paiva tours for your trip in New York, you don’t need to travel by public transports and look for the suitable food deal for you! With some of the best local chauffeurs in their team, they are known for offering best city transfers and airport transfers! Just tell your chauffeur about the type of food you love, and he will take you to the right spot in no time! Returning back from the shopping in the night and using any of this medium for your travel, you may come across by an unusual situation! While saving up money, you need to pick up the right choice for making no compromise over your safety! Carrying shopping bags and other luggage in the hand? Paiva tours with their expert local chauffeurs can help! Get bespoke door to door service in the luxury Limousines with Paiva Tours while saving money as well! Recognition for this town around New York City is “small heaven”. The top attractions of this town include, Howell Living History Farm, Golden Nugget Antique Party, Haas gallery, A Mano gallery and many others. This is a favorite choice of the tourists and people, who love art and craft. This summer enjoy your weekend in this town! If you are really interested in giving your trip never ending excitement, hire Limo services. You may be aware of good driving skills, yet knowing the routes also matters. Ensure more time spending practice with your friends or family through getting right Limo for your trip! A visit to Cold Spring can make you really surprised with the attitude of citizens and love for their city. With some of the most fascinating places, it is great town for all! A town offering a lot of outdoor activities and great spots to visit! You are able to find your favorite collections in the shops located in the town. Don’t miss out this Town when travelling to New York City. Be sure to check out this small seaside city. You will find plenty of places and activities to kill off your time. Some of the most popular attractions in the city include, Silverball, Pinball Museum, Paramount theatre and Convention hall (major attraction in the city), Asbury Splash Park and some of best bars & clubs to make your evening best in the Town. Don’t forget about visiting spas in the city. Surely, you will love them place! Managing time such that, to visit all the places can be challenging. With Paiva Tours, you can enjoy your trip full without worry about time management or safety! They have extremely experienced and talented chauffeurs! Don’t forget about visiting Green Port, one of the most popular towns around New York City. Definitely it can satisfy your taste buds with some of the best restaurant and tastes! Major attractions for this town include, Antique Carousel, Green Port Harbor Brewing Co., Boat tours, Green Port’s Farmers Market Inc., Rail Road museum of Long Island and a many more! This tiny town is enrich with great attractions and entertainment choices for all. With its interesting history and geography, it is favorite town for tourists globally, consisting of, Farmers Mills, Meads Comers, Hill and Dale Country Club, Kent Hills and even a lot more. View this great seaside resort or otherwise you will miss it forever! This great place and town have entertainment for everyone, must see attractions and places in the city include Cape May Lighthouse (best place), Emlen Physic Estate, Willow Creek Winery, Cape May Carriage Company, and a lot more! Tell your Chauffeur your priorities and he will make it all for you! Save down your time and avoid becoming part of traffic jams in the town. Secure your favorite Limo, instantly from Paiva Tours! If you love hiking, you are now able to enjoy it in New York City. Maple Wood is great choice for you and you are even able to make long walk over the hilly trail with some of the most eye-captivating views, along the way. Trying to adjust in car or mini-van is impossible, if you are planning a tour in group. Either you are looking for a perfect way of travel to reach the bachelor or bachelorette party with your friends, or if you looking for a transportation to accommodate you all people easily, New York City has number of choices available for you! This summer plan your trip with your friends to this incredible city and you all can travel in group easily as well! 1. Do you have a budget for hiring tour bus? When planning your tour party in the New York City, you priority must be planning about transportation. Whether you need to travel to the food spot nearby or if you need to travel hundred miles for reaching a museum, you need to pay just once for the bus and it’s yours for the day. Spend an entire day travelling with ease and comfort-of course with your friends! Some of the best service providers in this regard are “Paiva Tours” and “American Limousine”. Specifically if you are on tighter time schedules, choose Paiva tours and they offer the best pricing rates as well. Enjoy your travel with their trained chauffeurs. Either you are planning a bachelor planning in tour or having an idea of attending prom in tour party, you can choose them for all your transportation needs. Do you plan to spend the best day in New York City with your friends, start your trip in the morning time and end up in the late night? You may come across by many happy hours deals especially in the popular food lounges and you can now enjoy fast food or food of your choice with your friends. Don’t miss free concerts in the city as you have enough time for them if you start out with the morning light! You can enjoy the all day party in a tour with looking for the suitable mode of transportation. Renting various cars does not only break you up, in fact it can be bit more expensive as well. With tour buses available in New York City, you can always have more fun! Don’t waste your time looking for the rest, check out Paiva travels for indeed best transportation and Tour Party in New York. Experience the fun and excitement in Tour party though making a visit to most cool places in the New York City. The list is really large, however you can plan visiting historical places for the day or to check out ionic bridges in the city. Depending on your preferences, make a plan accordingly, you can consult a local guide for even more fun! If you plan to get tour bus from Paiva Tours, there is no need for the guide. Their professional chauffeurs can travel you to the destination you ask or they can even help you make a best plan for the day. New York City never disappoints you; either you are looking for best shopping in New York City or looking for delicious food lounges or trendy, well-designed boutiques! There’s a reason a city has been top priority of tourists worldwide. Definitely, if you are making a vacation first time to the city, it is vital to have guide or at least you must be aware of some of the most visited stations out there. Our list of best shopping places includes Story at the top. Narrowing down your search, either you need to purchase an outfit for any special occasion, or if you love the idea of themes or you are looking for unique stores in NYC, this is the place for you! This fabulous boutique is known for unique, yet luxury & affordable collection. Yet it carries accumulation of remarkable products from local brands to surely popular names out there. If you desire to enjoy hassle free shopping, use ground transportation services, instead of using public transport. Facing time shortage? Visit Story and you will find the best. Check out the theme of the store for week, or wait for another week for entire new collection. Visit their website and you will have an idea, why this place is part of the list! Either you love the fashion world or looking for sophisticated, expensive items, you will definitely stop by this two-and-a-half-story town house, holding all the items, New York City shopping outlets require. Fingers crossed, visit the place, and you are able to make affordable shopping! Thankfully, ground transportation services are available, and you don’t need to worry about car fuel or insurance issues! I would recommend Paiva tours here, as they not only have largest fleet of vehicles available, in fact they have competitive prices. Whatever, your desire is, you are able to found it in New York shopping malls. A collection of female and well-tailored dresses can be found at this boutique. With such a stylish reputation, you are able to find anything in the boutique, if it is feminine! Surprisingly it is not expensive-crazy, therefore you can definitely, buy something, if you are not out of pocket. Of course, with much to choose from, you may get confuse. Safe your time and effort by visiting this place in NYC. The shop caters to the women and it hold everything, figuring out what to buy for your friend, make a visit to the place, and you will find out something you desire for. Either looking for cocktail dress or crop tops, they are available here at Brandy Melville. Looking for best places to shop in NYC on a budget? 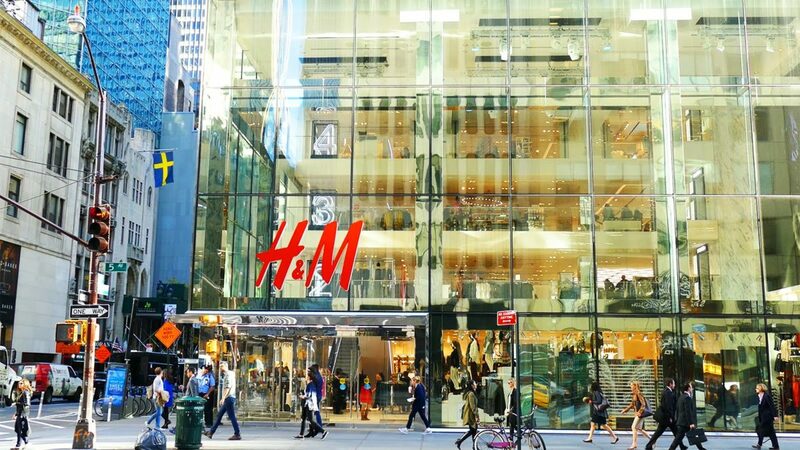 NYC city is crowded with dedicated designer stores and Barneys New York is top one amongst them! This well-designed space is actually helpful, if you are interested in getting something unique and amazing. Why New York City Tour? New York is one of the greatest cities in the world and always a biggest attraction for tourists worldwide. With lot of incredible places in the city, the vacation can be really awesome. Some people came here to enjoy the historical places while some love visiting the modern places. However with endless array of things and limited time available, you must visit best of best! Whether you admire special festivals or you are interested in spending your most of the time in looking for the best pieces of art, Metropolitan Museum of art can make your search to an end! Looking for things to do in New York City today? If you are lucky enough to visit the place, you can see a huge collection and you can even see a fraction of it, this is because museum is really big and amazing as well. If you are exploring museums in the city and giving it an entire day, I would recommend American museum of natural history as well. One of the major attractions which can only be found in New York City is this amazing landmark. If you searching city over the internet, the first symbol or place, you came across by is Statue of Liberty and therefore best New York state attractions! In the high season, you may face a lot of rush and purchasing tickets can be really hard. However you must view the statue nearby, as your trip to the world’s most popular city is incomplete without it. 3. New York City is King for all types of foods! Eating in NYC can be bit expensive, if you are not aware of the food spots. Let’s discover some of the cheap foods in NYC city places and make your trip even more affordable! I would recommend “Moaz Falafel and Grill”, as even if you are picky and choosy for the food items, you can have choice of making your own meal (personalize your order). You would love crispy foods by “Pomme Frites” and they are affordable as well. Their truffle is really yummy one; do give it a try, if you visit the place. best foods in New York City list is incomplete without ”Halal Foods” as they have most unique menu in the city and food really affordable, starting up from $7. Landing on the airport or reaching the city in bigger group and looking for the most comfortable journey without waiting for hours looking for public transport, you must prefer travelling by luxury Limousine!! You can even explore the city by public bus or subway but they can be time consuming and travelling in groups or along family can be hard. I would recommend “Paiva Tours” here for New York City Tour as they have the finest luxury cars and best accommodated shutters. Call them and make your vacation even more wonderful.